Commonly used with paint rollers and brushes, use a paint tray to hold your paint and help remove excess paint. 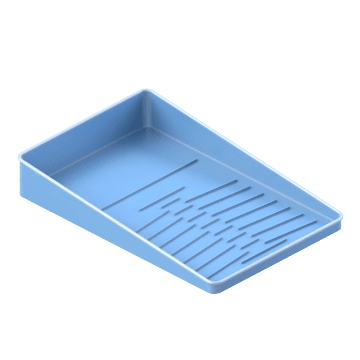 Use the tray alone or with a disposable liner for easier cleanup. 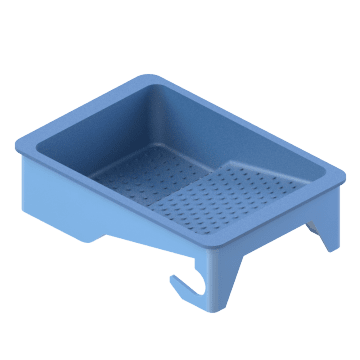 Use these paint trays with a brush or roller when painting or staining. 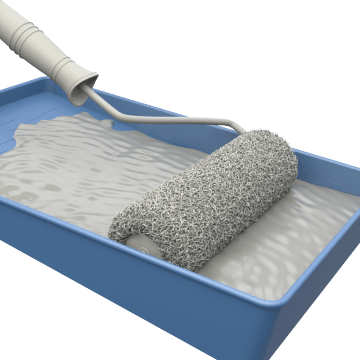 Trays have a ribbed, angled wall to help remove excess paint from your brush or roller. Add a disposable liner to your paint tray before painting, then remove it at the end of your job for quick clean up.